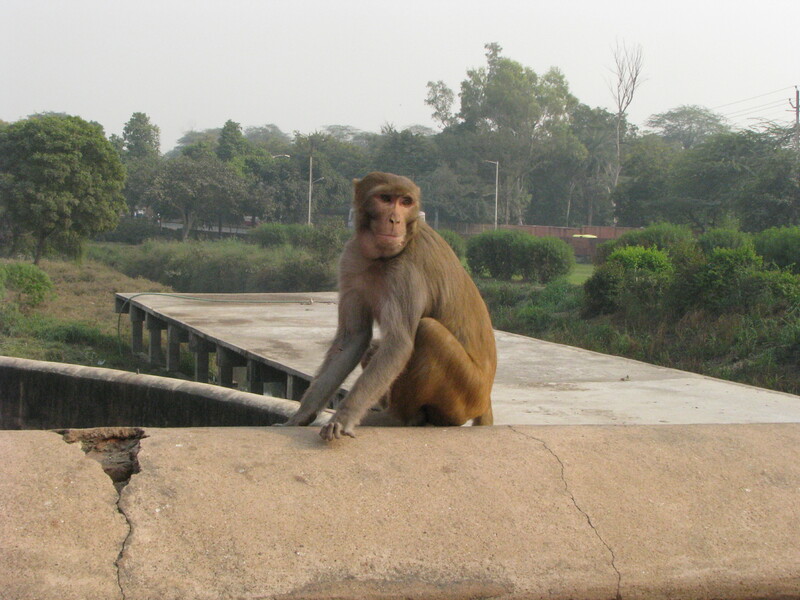 Monkeys so close you could touch them.Â We saw tons of monkeys in Agra at a fort. 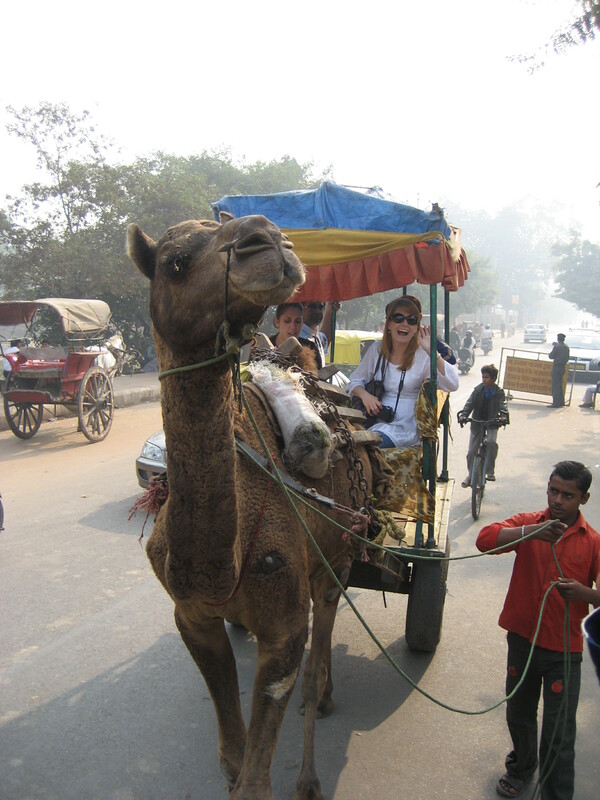 We were also fortunate enough to ride a camel drawn wagon down the street to the Taj Mahal! 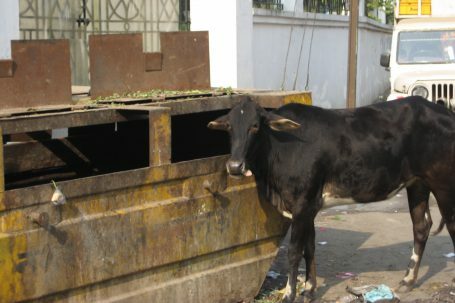 And yes, there are cows in the streets of India.Â They help themselves to whatever they want, including tasty finds from the dumpsters. 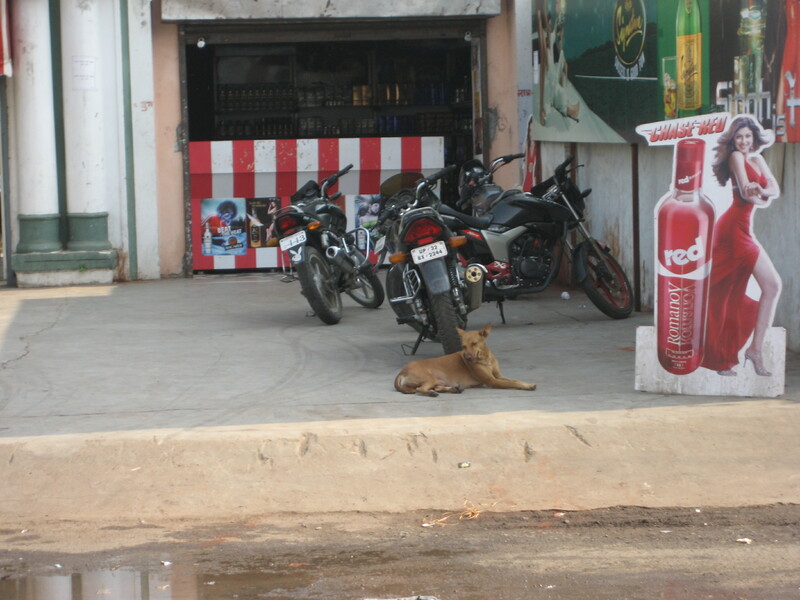 There are street dogs everywhere in the city. 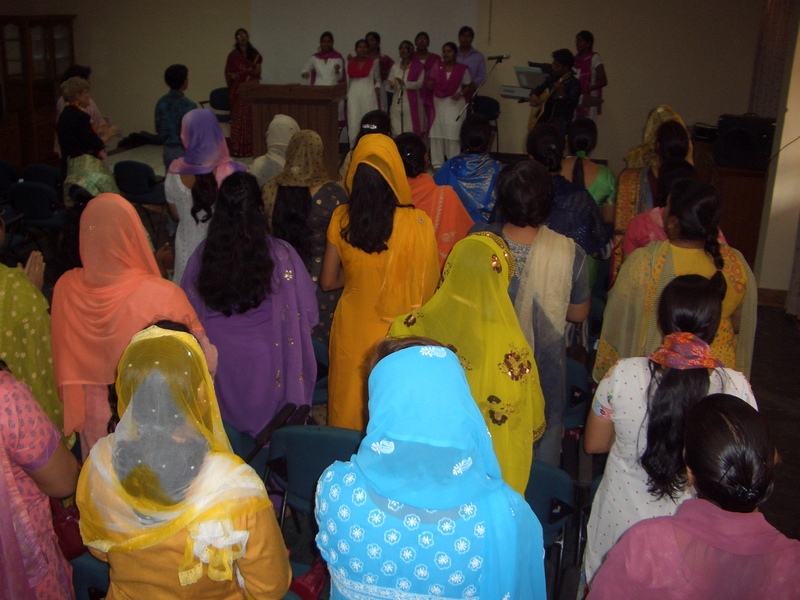 The colors of the women’s clothing is so uplifting.Â What wonderful colors! 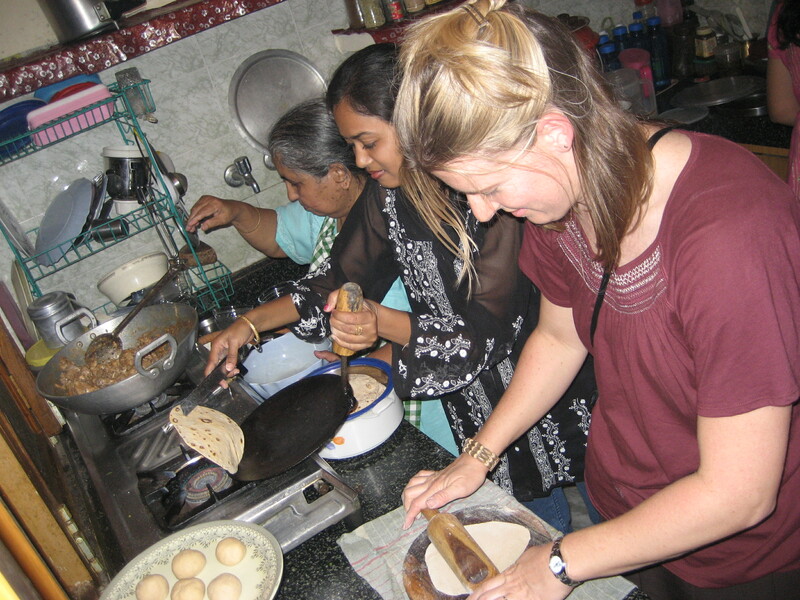 Helping make chipati in an Indian home. 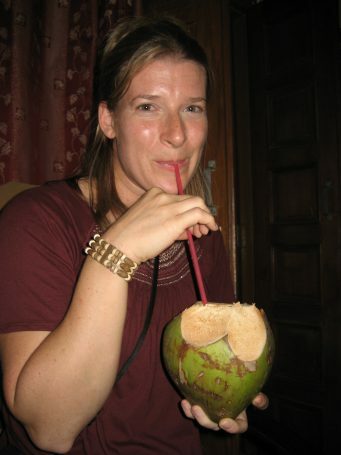 Sipping coconut milk from the coconut! In India we spend 6 days helping students and professionals reduce their accent while speaking English. This was very enjoyable. I had seven great guys in my group. They even helped me learn a few Hindi words (Hindi is the most predominant language in Northern India). They also showed me how to write my name in Hindi characters. If you don’t happen to have a class full of Indian students to show you how to write your name, Google will do it for you. Because Hindi uses many of the same sounds English does, roman characters can be transliterated into Hindi script. Just type your name in and it will be instantly converted. We are safely back in the states. What an adventure our trip to India was. We can’t wait to tell stories. The first thing I noticed when I walked into my house today was that it was so quiet. We spent our time in India in three huge cities where there was a constant sound of horns honking. In India the roads are chaotic. Lines on the road are meer suggestions, you could drive on the wrong side as long as you didn’t think you would be hit. Cars are the minority, sharing the road with Autorickshaws, motorcycles, scooters, bicycles, people pushing carts, small heards of donkeys, pedestrians, dogs and of course cows. Drivers use their horn anytime they are in anyone’s blindspot (basically). Luckily, we had drivers and didn’t dare get behind the wheel. The number of close calls on one day of driving in India probably equals the number of times in your entire life you have ever said “I almost got in an accident today”. India driving is so exciting! Author peterPosted on 2.November.2008 Categories IndiaLeave a comment on Where in the world are we going?